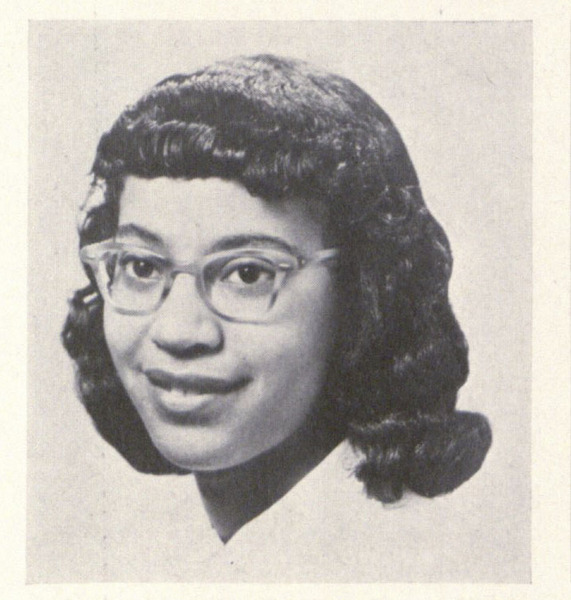 Evelyn Jones, Bryn Mawr College class of 1954, was the first black student to reside on campus in 1950. Photograph taken from the 1954 yearbook. “Evelyn Jones,” The Albert M. Greenfield Digital Center for the History of Women's Education, accessed April 23, 2019, http://greenfield.brynmawr.edu/items/show/3056.